The Cupertino company will reportedly invest in OLED panels for future iPhones starting 2018. LG and Samsung are already planning to increase production. According to a report from Nikkei, Apple will not be using OLED panels for iPhones at least until 2018. 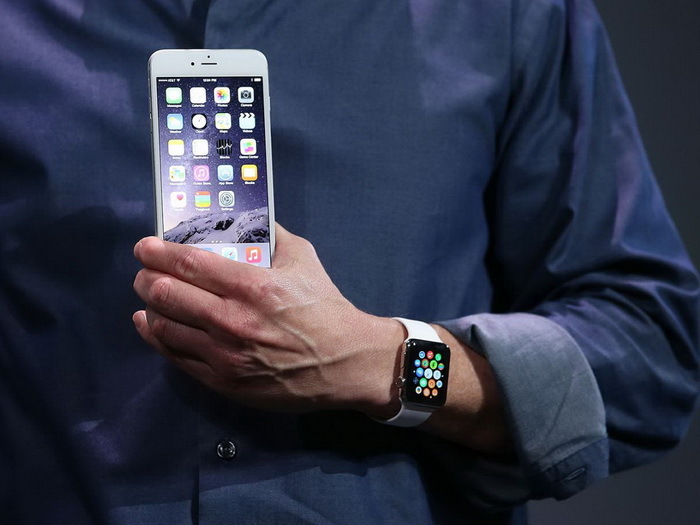 So far, all iPhone and iPad devices have relied on conventional LCD displays. The sole exception is the Apple Watch, which utilizes an OLED panel protected by either Sapphire glass or "Ion-X" Glass depending on the SKU. Apple has reportedly already informed suppliers about its future OLED plans. A swing towards OLED for iPhones would have an impact on Sharp and other Japanese LCD manufacturers who currently provide Apple with display panels for iPhones and iPads. Samsung and LG are one of the largest OLED manufacturers and will likely see an upswing in production and demand. LG has already announced a multi-billion Dollar investment in OLED manufacturing. 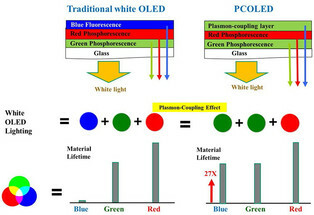 OLED offers a number of advantages compared to conventional LCDs as found on a majority of smartphones. First, response time is significantly faster and power consumption can potentially be lower. 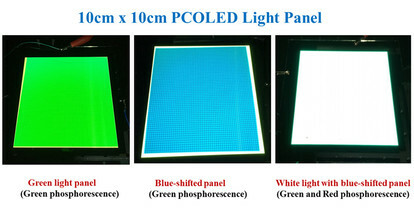 However, the longevity of OLED displays is still a limiting factor, particularly for the components responsible for the color Blue. 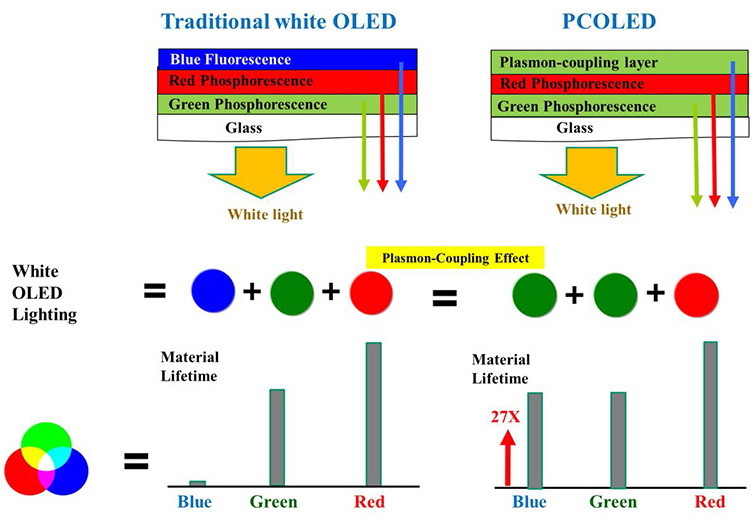 Researchers are currently attempting to increase the lifetime of OLED displays by replacing current Blue components with longer-lasting Green or Red components. The OLED group from the Institute of Applied Photophysics (IAPP) has developed Red OLEDs that can theoretically last for as long as 1123 years. 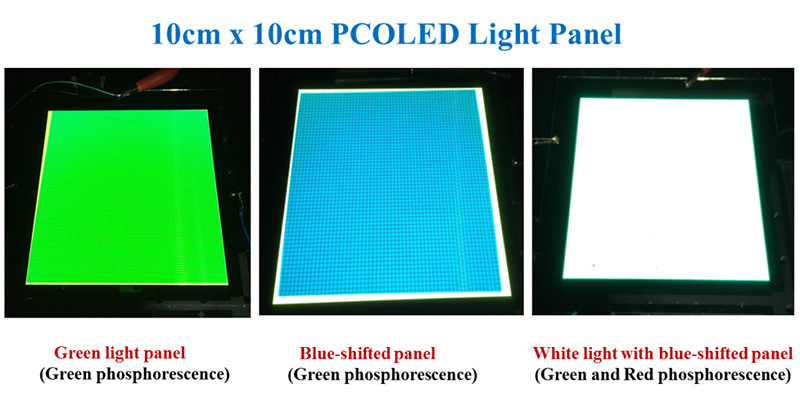 OLED panels based on PCOLED (Plasma-coupled Organic Light-Emitting Diode) remove Blue completely in favor of Green. Researchers have promised a 27-fold increase in shelf life as a result.